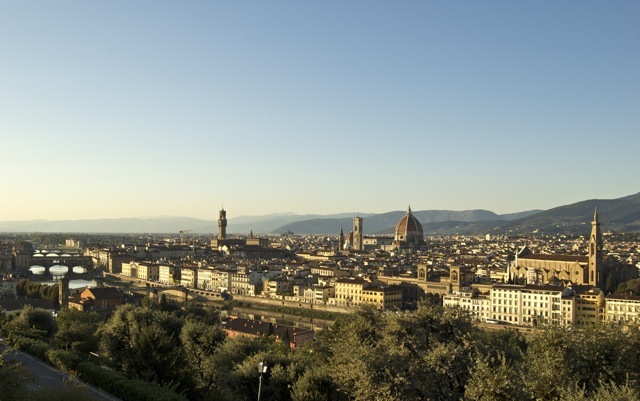 Piazzale Michelangelo is a famous square with a magnificent panoramic view of Florence. 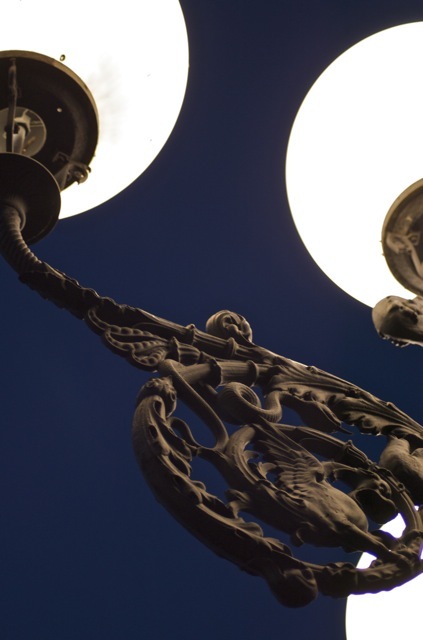 It was built in 1869 and designed by the architect Giuseppe Poggi during the urban renewal of the town. At the time, Florence was the capital of Italy and the middle class strongly wanted to show its rebirth. 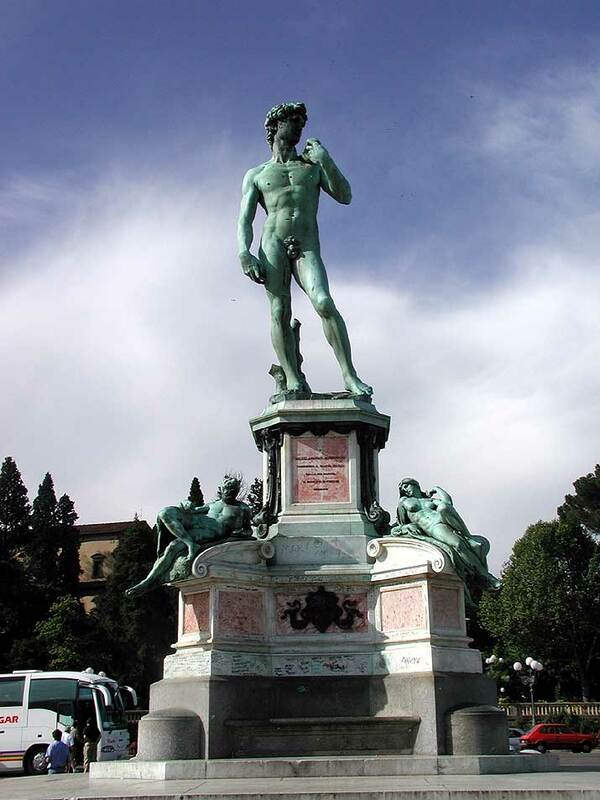 The piazza is dedicated to the great Renaissance artist Michelangelo and is home to copies of some of his famous statues in Florence: the David and the four allegories of the Medici Chapel of San Lorenzo. 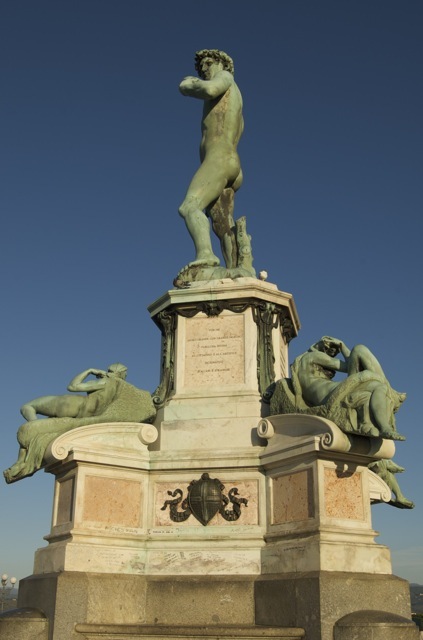 These copies are made of bronze, while the originals are all in white marble. The monument was brought up by nine pairs of oxen on 25 June 1873. 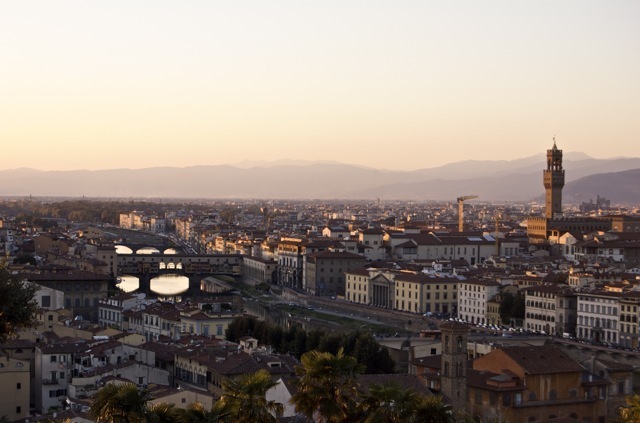 The panorama encompasses the heart of Florence from Forte Belvedere to Santa Croce through the bridges of Florence.